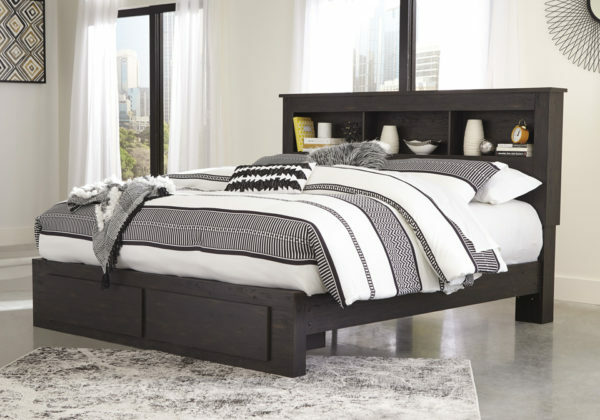 The Reylow storage bed is turning heads with its clean, streamlined vibe. Dark brown finish has a gorgeous distressed effect, adding two-tone visual interest. Large drawers provide a ton of space for your belongings. Knobs and pulls with satin nickel-tone finish give this storage bed a neat touch of shine.